Color Shown: Winter Camo. Other color views coming soon. Optional Rudder shown. 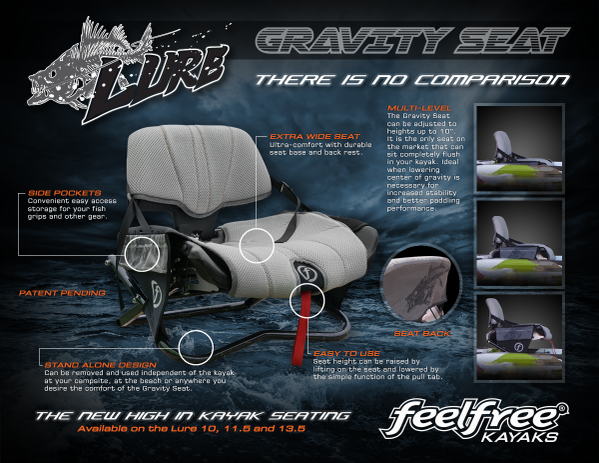 Feelfree Kayaks is taking kayak fishing to a new level in stability, comfort and versatility with the new 2015 Lure series. 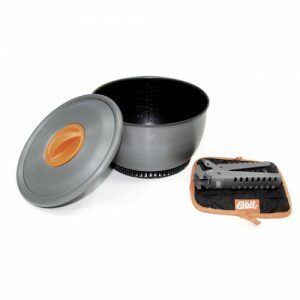 The Lure 11.5 is the Lure 10’s bigger brother designed for longer paddling trips on rivers, lakes and oceans with more capacity and additional deck space. 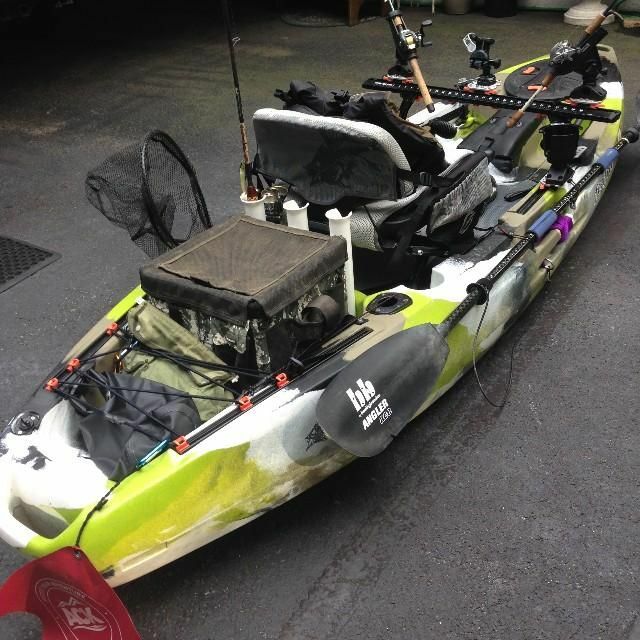 The kayak also comes with a variety of unique features seen on Lure series kayaks including a removable multi-level extra wide Patent Pending Gravity Seat, Feelfree’s patented wheel in the keel and Uni-Track system. The Gravity Seat offers a wide range of seat heights, which is adjusted with the simple function of a lever and is removable. 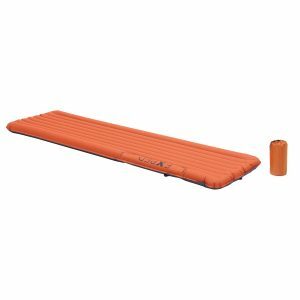 What really sets the Gravity Seat apart is the ability to sit flush on the deck of the kayak when additional stability and a more efficient paddling position is needed for longer distances. Another key feature designed specifically for the Lure 11.5 is a removable sonar & electronic pod. 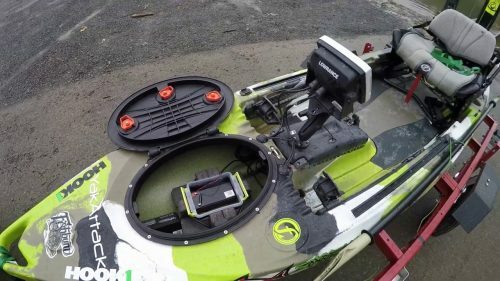 The pod makes it easy to install of a fish finder and transducer without having to drill any holes into the kayak. The Lure’s super-stable 36” wide hull paired with a padded standing platform gives you the option to paddle or cast in either the sitting or standing position whether fishing inland waters or wide open oceans — this kayak fears no water.